I am a fan of organizing, but as we talked about in January, decluttering should happen BEFORE organizing. The same thing applies here. Actual spring cleaning is easier if you start with a good decluttering session. You’ll have fewer items to clean around and something about removing items just puts me in the mood to make the house clean and tidy. Try not to get overwhelmed with the list or obsessed with perfection. 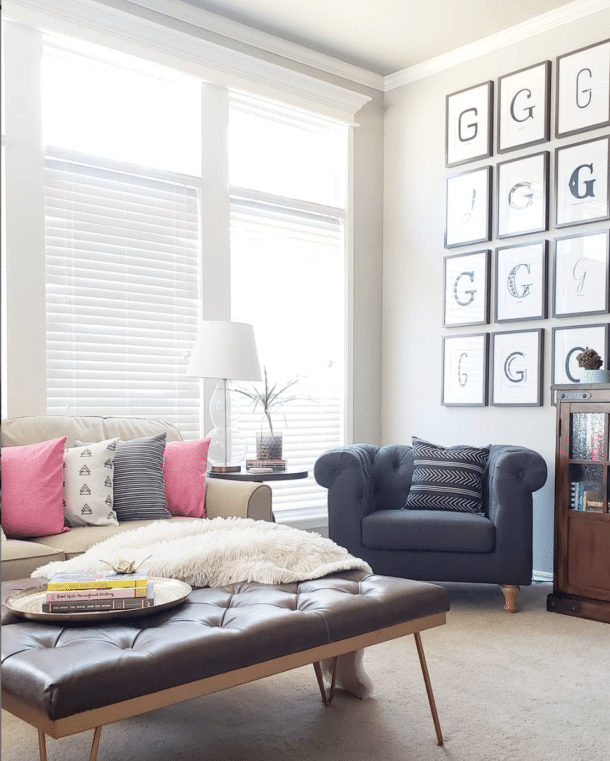 Even finding a few things to purge from each section will make your whole house feel lighter. Before you start, it’s handy to have a donation box, garage sale box (optional), and trash bag. A few years ago I finally realized it was helpful to gather items for an annual garage sale throughout the year and store them in a designated spot in the attic. Garage sales are still a ton of work, but I feel like this gives me a head start! Small appliances – Look through your kitchen appliances to make sure you’re still using all of them. If you didn’t use that breadmaker all winter, it’s probably time to let it go. This year, we upgraded to a blender brand that uses one base with both blender and food processor tops. The old blender and big food processor were donated to someone else who needed them and we are saving some cabinet space. Win-win! Cookware & Servingware – It seems that once pots, pans, and serving dishes enter our house, they don’t leave until they are broken or completely worn out. But that doesn’t mean that we use all of them. 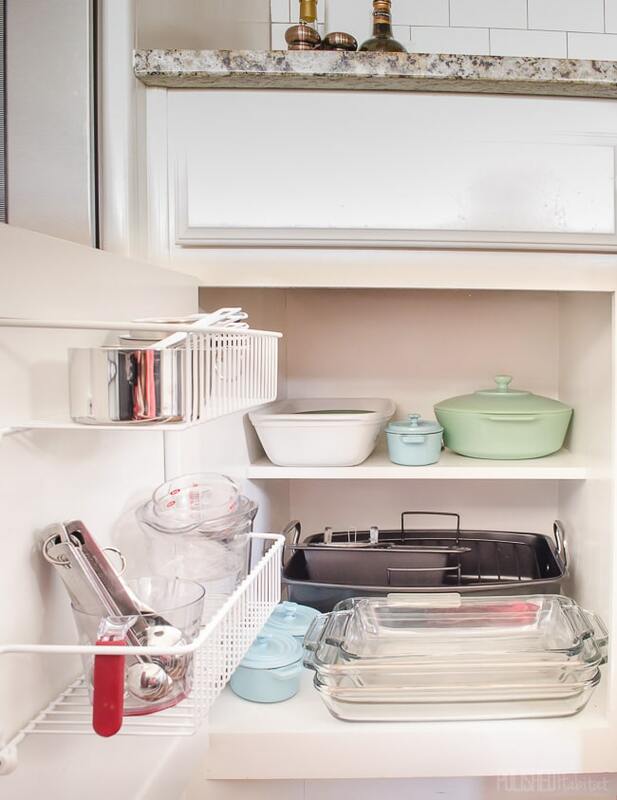 I’d recommend removing all of yours from the cabinets and then putting back what you use regularly along with anything you know you’ll actually use on occasion. The rest can head out the door. If you have holiday specific (I’m looking at you Christmas) serving platters or bowls in your kitchen cabinets, grab a new rubber storage container and pack them away in an attic, basement, or even under a bed. There’s no need to fight around them the other 11 months of the year. Winter Shoes – First up, get rid of any winter shoes you never wore last season. Then, do a quick inspection of those you wore all the time. My favorite boots had reached the point of embarrassment as they were worn, cracked and even separating from the sole. It was time for them to head out the door. You can try to score some replacements on clearance now, or make a plan to save up to buy replacements next fall. Either way, you don’t need them cluttering your closet right now. I conquered this area last month and was lucky enough to find some new clearance boots at DSW! 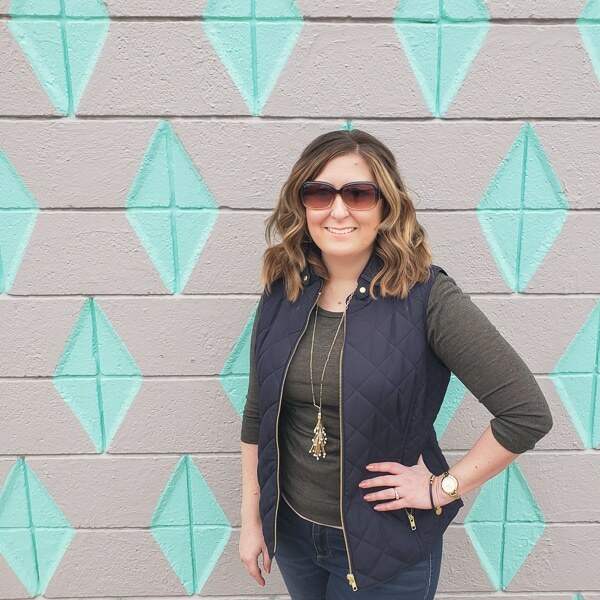 Fall/Winter Clothing – Same rules apply here. Start with anything you didn’t wear all year, then move on to purging anything that is worn out. If you’ve lost weight recently, also take a moment to get rid of the larger sizes. I’ve got more details about sorting through clothes in this post. Chemical Purge – Does anyone have way too many half-used containers of chemicals from yard & bugs sprays to car care products and paint? Gather them all up, wipe down your shelves, then put back the items that are still needed and new enough to still be effective. Contact your town to find out the proper procedure for disposal of the rest of them. We used to have semi-annual days that we could drop them off, and now we can take them anytime with an appointment. Board Games – We love a great game night, but similar to the pots and pans, once games come into the house, they never leave. There are several that we never reach for and we know won’t ever be a favorite in our house. It’s time for them to find a new family! Books, Magazines, & DVDs – While I would LOVE to have a full library were I could be surrounded by books, I also know there are some in our collection that I will never read again. Same with the movies! We have books throughout our house (office, bedroom, living room, upstairs), so I try to hit each room with my donation box. Medicine Cabinet – We’re finally on the tail end of a horrible flu season, so it’s a great time to empty out your medicine cabinet and check expiration dates. If you have any prescription drugs that are expired or no longer needed, contact a pharmacy for info on proper disposal. Our local police station has a drop box for them. Towels/Washcloths – A miraculous thing happened when we purged our bathroom closet and got rid of old towels (consider donating yours to an animal shelter). 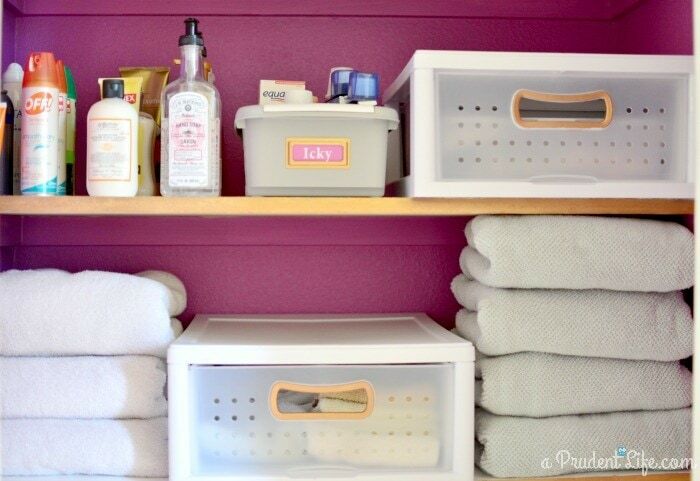 Left with fewer, higher quality towels, the closet is less cluttered AND we do the laundry more often. When we had more towels, they could pile up in the hamper for way too long because there were still more clean towels on the shelf. Confession time. That photo above is NOT what this closet looks like today, hence the watermark with my old blog name. 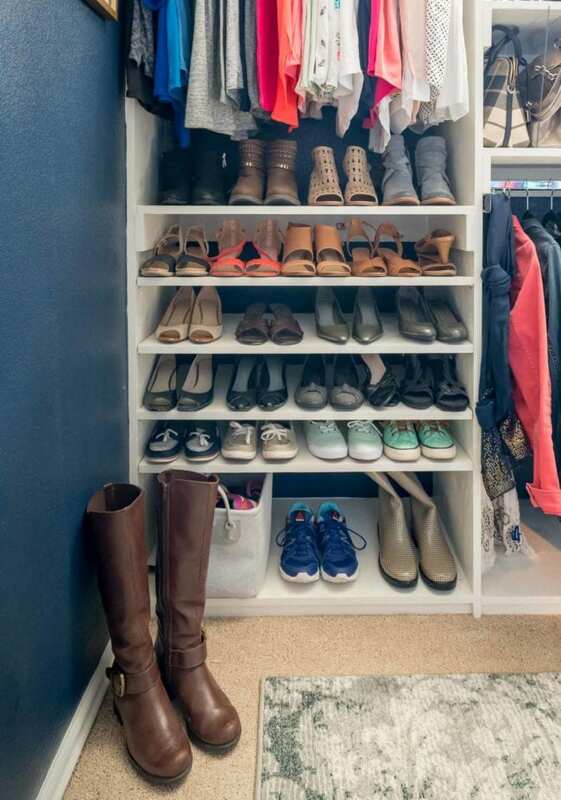 It’s on my list for spring cleaning because in the 4 years since that post, I’ve continued to add things to this closet without removing anything. The bath towels are still under control, and the drawers are still amazing, but it’s time for a big clean out. Sheets/Bedding- Like so many other things in my house, when new sheets come in, I’m not great at making sure an older set of sheets goes out. I need to spend a little time this spring taking an inventory of all of our bedding throughout the house. I can visualize at least one old, big comfortor taking up space in a guest closet. I know we’ll never use again, so it needs to go. And just like that, you’ll have tackled 10 areas of your home that may have been overdue for a good clean-out! 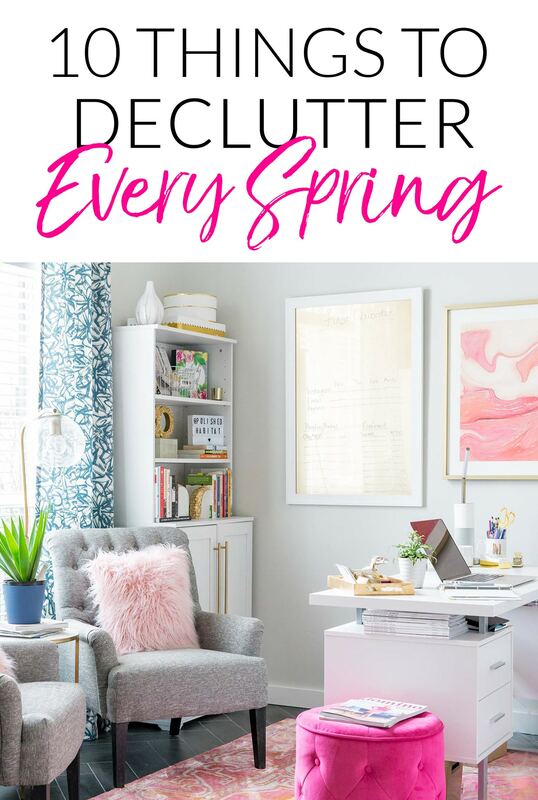 If you’re feeling still feeling overwhelmed at the thought of decluttering, you need to read my decluttering basics post next. If you’ve got the bug and don’t want to stop with these items, you get an extra gold star if you tackle the fall decluttering checklist now too! What area of your house are you going to take 10 minutes and tackle today? PS: You can pin the image below so you can find this list again next spring! Thank you for your suggestions. 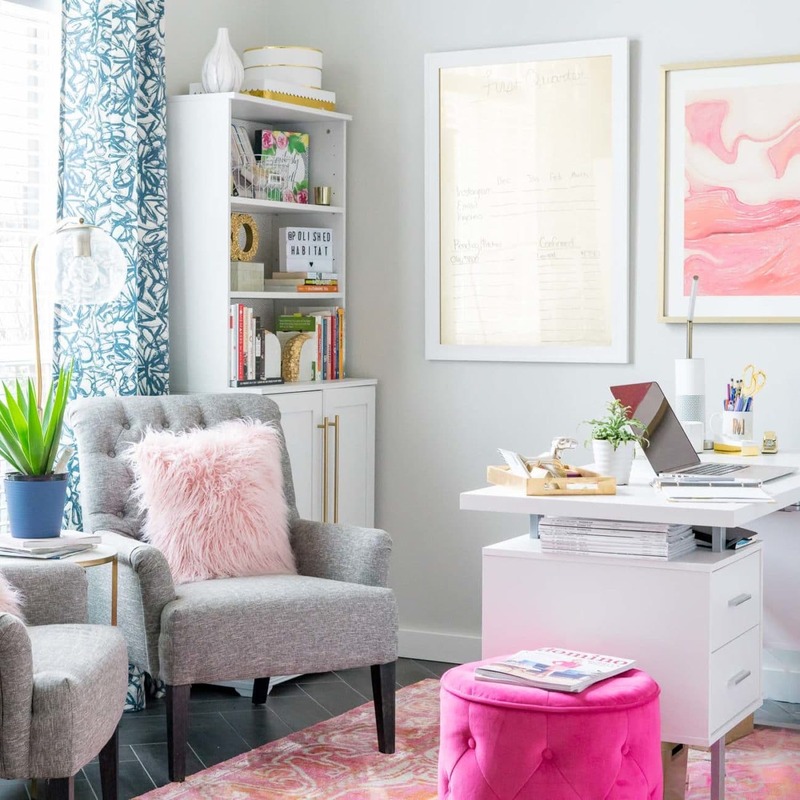 Where did you purchase your white office desk? Does it have filing drawers? The left side of the desk has 2 shorter (but roomy) storage drawers and the right side does have a filing drawer. I LOVE the function of it and that I can store magazines on the little shelves between the top and the drawers. It looks great in the room, but close up imagine that the surface is a bit like a white laminate countertop. In the area my arms rest and rub as I type, the finish is starting to look a bit worn after 18 months. I’m not planning on replacing it anytime soon, don’t regret it, and haven’t seen anything I like better for anywhere close to the price, but I wanted you to have all the plus/minuses. Here’s a link to the desk: http://amzn.to/2HHq4dz and you can see some more photos of it here: https://www.polishedhabitat.com/office/ Happy Friday! Love, love, love those porcelain vases. SO elegant! These are all great tips! I think my pantry and the appliances seems manageable for a first start! I’ll keep you posted!!! YESSSS great ideas! I still need to go through my winter shoes and are garage chemical items!